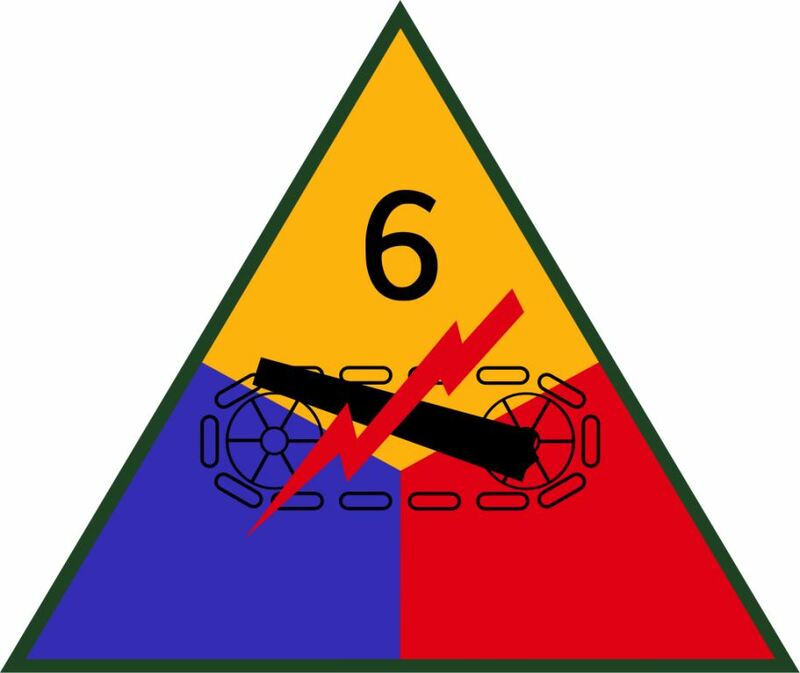 The insignia for the U.S. Army's 6th Armored Division, which was activate from 1942 to 1945 and again from 1950 to 1956. During World War II, the Super Sixth, as the division was nicknamed, participated in the Invasion of Normandy. A notable Floridian who served in the 6th Armored Division was Sergeant John F. Aylward, Jr. (1912-1944), who died on November 3, 1944. Also known as Jack, Sgt. 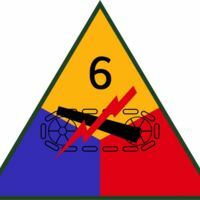 Aylward was a part of the Headquarters Company within the 6th Armored Division, nicknamed the Super Sixth. Sgt. Aylward was originally from Ocala, Florida, and is interred at Epinal American Cemetery and Memorial in Dinozé, France. Digital reproduction of original insignia. Hofmann, George F. The Super Sixth: History of the 6th Armored Division in World War II and Its Post-War Association. Louisville, Ky: Sixth Armored Division Association, 1975. “U.S. Army 6th Armored Division Insignia.” RICHES of Central Florida accessed April 23, 2019, https://richesmi.cah.ucf.edu/omeka/items/show/9308.